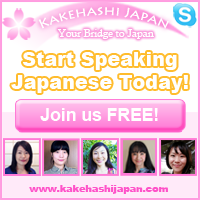 ★ The Japanese word for face is 顔 (かお – kao). Today we learned how to say some body parts in Japanese! 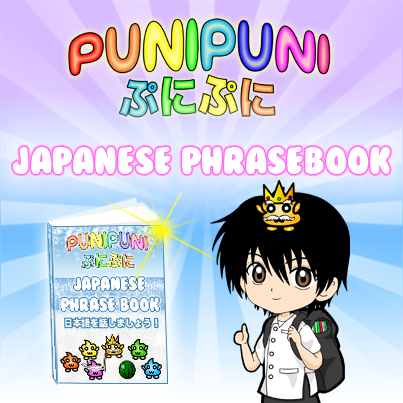 In these review notes, we will go over all the Japanese vocabulary that was in the video and we will see a list of more body parts in Japanese! 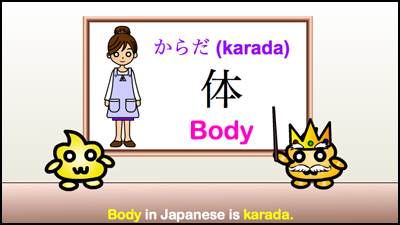 ★ Body in Japanese is 体 (からだ – karada). ★ The Japanese word for head is 頭 (あたま – atama). 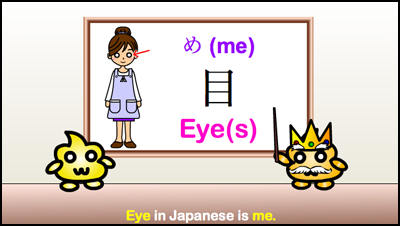 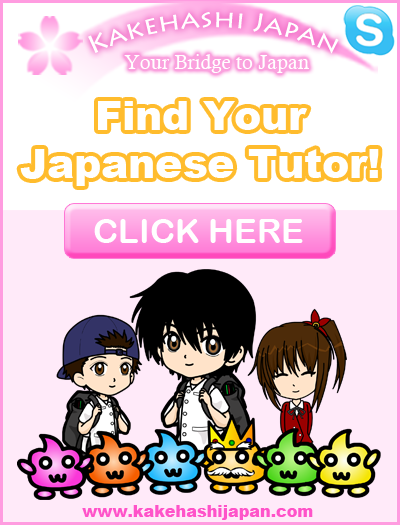 ★ The Japanese word for eye(s) is 目 (め – me). 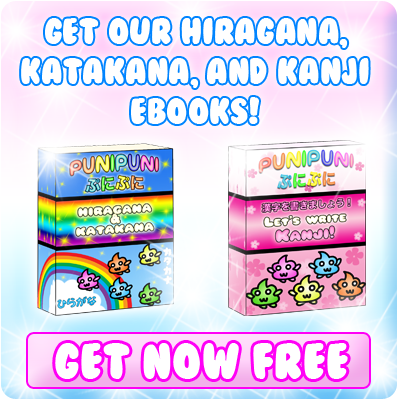 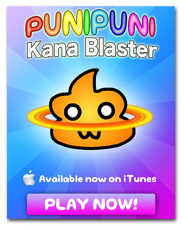 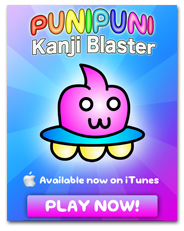 ★ Nose in Japanese is 鼻 (はな – hana). 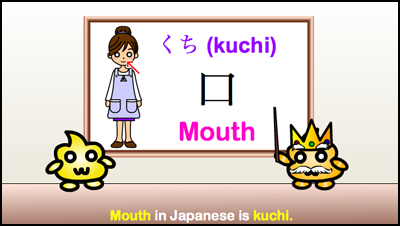 ★ Mouth in Japanese is 口 (くち – kuchi). ★ Chest in Japanese is 胸 (むね – mune). 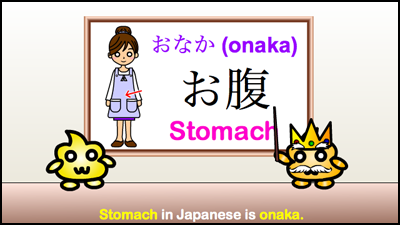 ★ Stomach in Japanese is お腹 (おなか – onaka). ★ Arm(s) in Japanese is 腕 (うで – ude). ★ Hand(s) in Japanese is 手 (て – te). 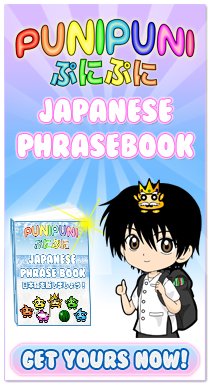 ★ leg(s) in Japanese is 脚 (あし – ashi). 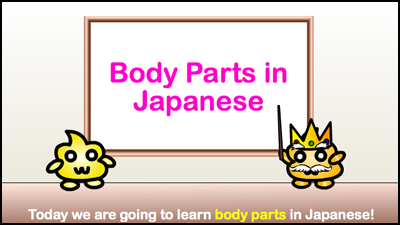 We learned a lot of body parts in Japanese today! 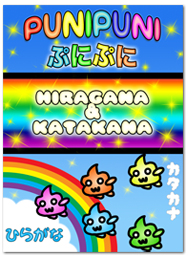 If you want to know the Japanese word for any body parts (keep it PG!!) 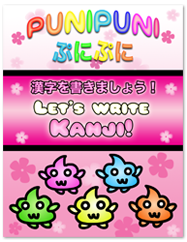 that we didn’t mention, ask us in the comment section below!